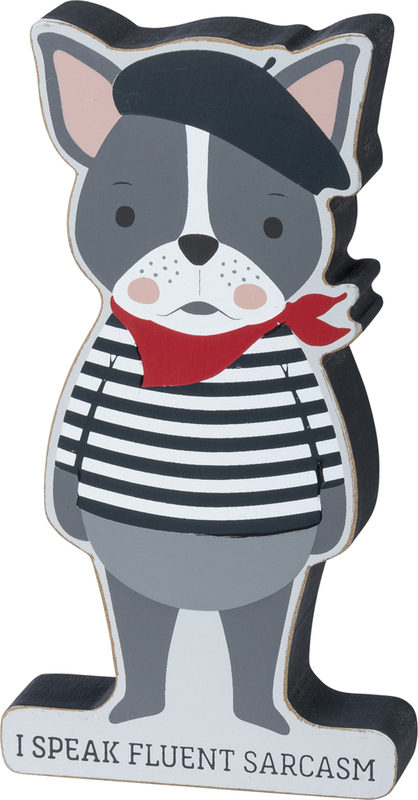 This is a perfect gift for the French Bulldog lover or sarcastic person! 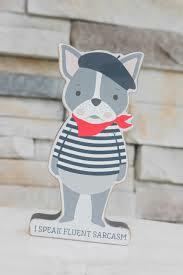 Just enough "whimsy" and "fun cheer" for any space you want to add some decor! 6.75"h x 1"w x 3.50"